I’m so behind on posting! I got sick the day after Thanksgiving and didn’t start feeling better until the end of last week! I finally feel like myself again today, so I will be playing blog catchup and you can expect a glut of posts! First off is a couple of China Glaze swatches. During the recent Buy 2 Get 1 sale at Ulta, I picked these two polishes up along with a Secret Santa gift (shhh!). 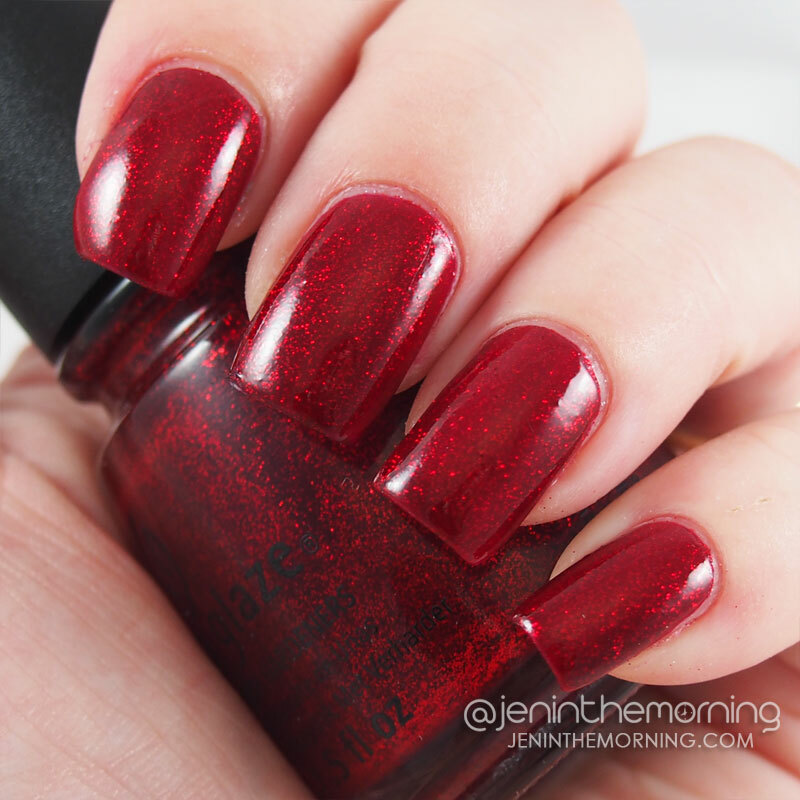 Ruby Pumps is not a new polish, but it is gorgeous for the holidays, so I went ahead and swatched it. December to Remember is part of the new China Glaze Holiday 2014 Twinkle Collection. First on the list is the not-new polish, Ruby Pumps. I really wish I had a sun shot of this polish, because it is truly dazzling! Ruby Pumps has a translucent red base chock full of red glitter. Pictured above is one coat (!) of Ruby Pumps with one coat of Seche Vite on top. I love this polish! 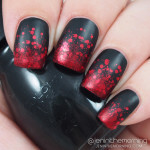 I’m not a huge fan of red, but I had picked up a couple of glittery red polishes in the past (namely Sally Hansen Xtreme Wear – Red Carpet and Sinful Colors – Sugar Sugar which I recently swatched) – those were beautiful polishes, but if you are looking for glitter (and who isn’t!?) then Ruby Pumps is the way to go! The formula was really nice and one coat was plenty to cover my nails. Next up is the actual new polish, December to Remember. In the bottle, this looked like a duochrome. Primarily blue, but with a slight lavender shift. Sadly, that doesn’t translate to the nail as well as I had hoped, but it is still a really beautiful polish! You can see what I was talking about in the bottle shot below. Sadly, I didn’t notice until I got home that part of the label hadn’t been printed correctly =(! 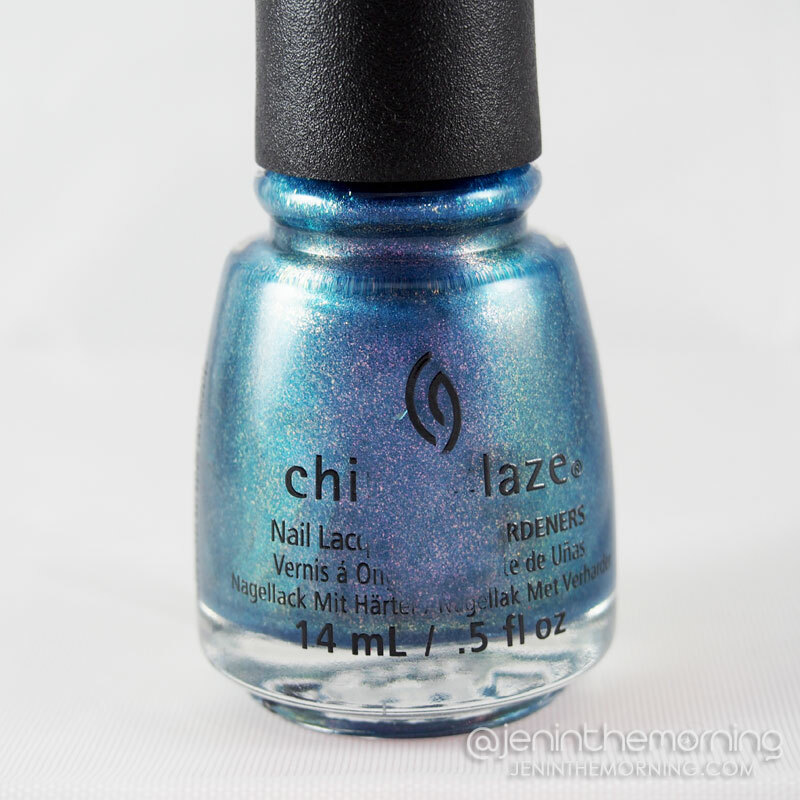 December to Remember is a very pretty metallic blue color with gold/silver and lavender micro-shimmer. I was drawn to this because it is quite a bit different than anything else I have and the color doesn’t disappoint. 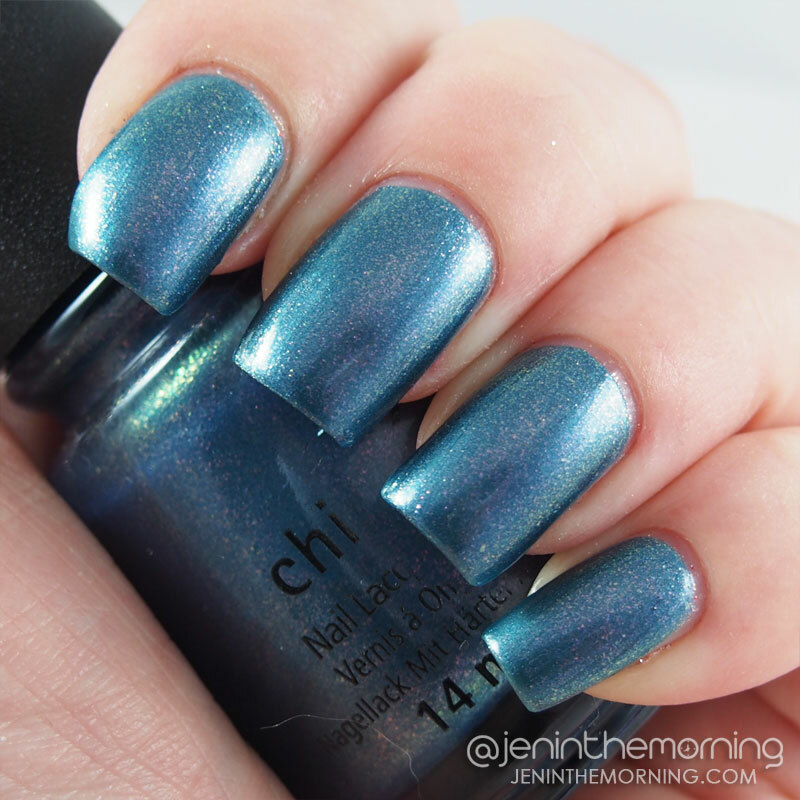 The formula on this one was quite nice and pictured above is two coats topped with Seche Vite. This is a somewhat frosty polish and you can see some brush-strokes on a couple of my nails – but they were much less obvious in actual use. I generally don’t wear a lot of blue polish for fear of staining or annoying cleanup, but this polish had neither of those problems! Overall, I really liked both of these polishes, but Ruby Pumps just blew me away and I now consider it one of my polish collection must-haves!